To Jacksonville - To grrr, or not to grrr? That is the question. To Jacksonville, originally uploaded by joemorris. On the road to JAX. Grandpa still not doing well. Can't complain about traffic. ETA 1930. Yep, I made it. That picture is one of the most boring sections of the trip. 179 miles of it is in South Carolina. 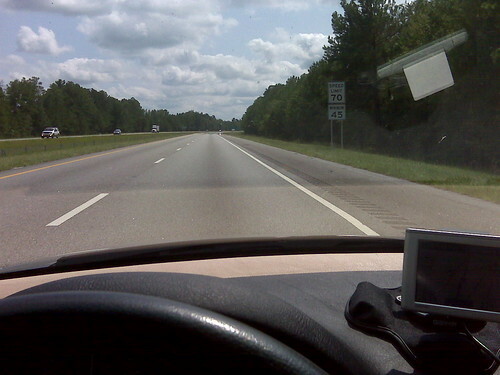 There is just nothing exciting in SC along I-95. Safe trip and hope that your grandpa feels better.